Welcome to Coach’s Corner. Every recreational hockey team has that unique player who has been around for so long, he’s got something to say about everything. Whether it was that tournament 15 years ago, or last night’s NHL game, this guy never hesitates to voice his opinion. Well, if you want direct access to one of the most powerful minds in the sport of hockey and on the London Rangers team, you’ve come to the right spot. Coach, a dedicated and passionate player who stops at nothing to play a game of hockey, embodies the true Ranger spirit. From the older generation of player with opinions rooted in years of ice time, Coach possesses the seniority to tell it how it is: “Thanks for checking out my little piece of the Ranger’s website. Apparently my request to be on the home page was denied and they’ve stuck me in the nose bleeds! I guess this is how it feels to be a true Leafs fan… Anyways, Tuesday nights are simply not enough time for me to get it all out there. Of course, many of my top stories and opinions are touched on, but I am still left craving an additional medium to express my thoughts. So, naturally I created this page to keep everyone up to speed on important hockey related issues, or stuff that I find amusing. Whether or not you like it, or find it useful is of no real consequence to me. What is important, is that I’ve been playing this game for 50 years and although at times I may reference players that retired decades ago, I always keep up to speed and have my head in the game. Don’t forget to grab a pen and paper, you might want to write some of this down.”To follow Coach and check out his latest postings, please go to our Hockey Sense webpage. *This is an independent commentary source. 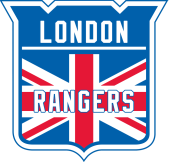 The numerous expressions and opinions highlighted on the Coach’s Corner and Hockey Sense webpages do not necessarily reflect those of the London Rangers Ice Hockey Club.